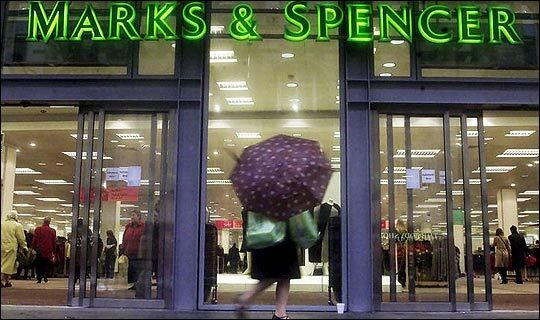 Marks & Spencer, one of the UK’s largest retail operations, will not open any new stores from 2016 onwards after falling high street income has had a major impact on the company’s bottom line. The company, founded in Leeds in 1884, is Britain’s largest clothing retailer, operating over 766 stores throughout the UK. The well-known clothing firm has faced declining demand amongst retail shoppers and increased competition from other clothing brands. With 766 stores operating in the UK, it also faces the possibility of oversaturation, where its stores are simply too close to each other to produce additional revenue on a per-store basis. Marks & Spencer is one of the world’s largest retail clothing operations, with stores in both the United Kingdom – where the company was founded – and in a variety of overseas markets such as Hong Kong and Singapore. The company also operates an online store – M&S.com – that has turned into a major asset for the company. As one of the nation’s retail giants, Marks & Spencer’s decline could be seen as a mirror image of the issues facing Main Street commerce as a whole. One in eight of the stores in Main Street shopping areas are non-operational, indicating a major downturn in retail shopping across the entire nation. While the company’s pre-tax profit has decreased in recent years, currently reaching £564 million, down from a peak of over £1 billion several years ago, it remains quite profitable. The downturn in clothing sales has been balanced by a slight increase in the company’s food sales and a potential expansion in its retail food business.